This Easter I have made some handmade gifts for my girls. 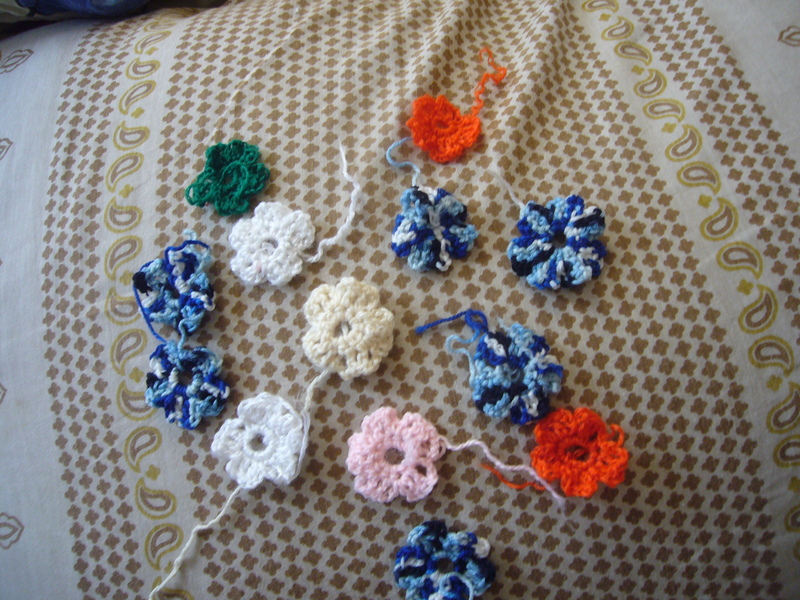 Crocheting flowers and baby bags was part of it. These flowers are really fast and easy to crochet. Kids enjoyed playing with them and later on we have made a cute flower tree out of them. I’ll post it next. 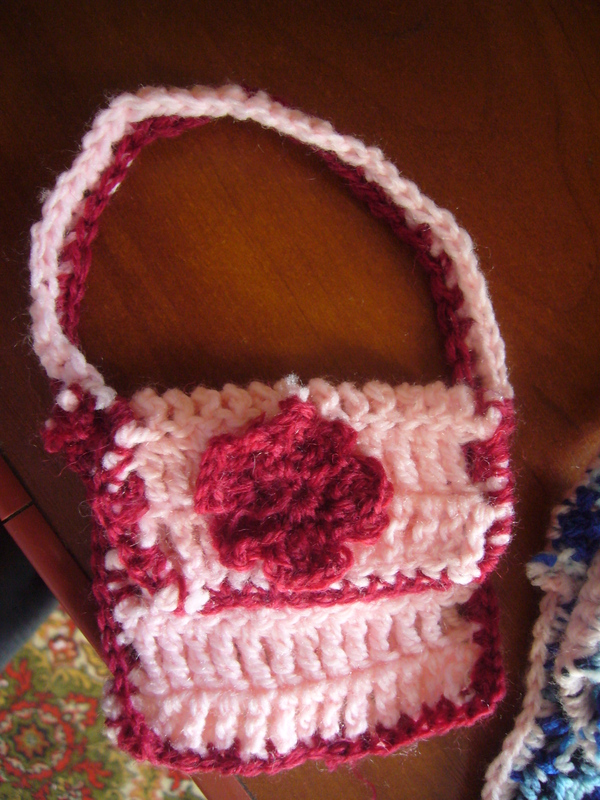 I have also crocheted small baby bag for the Easter bonny to put the chocolate candies in. 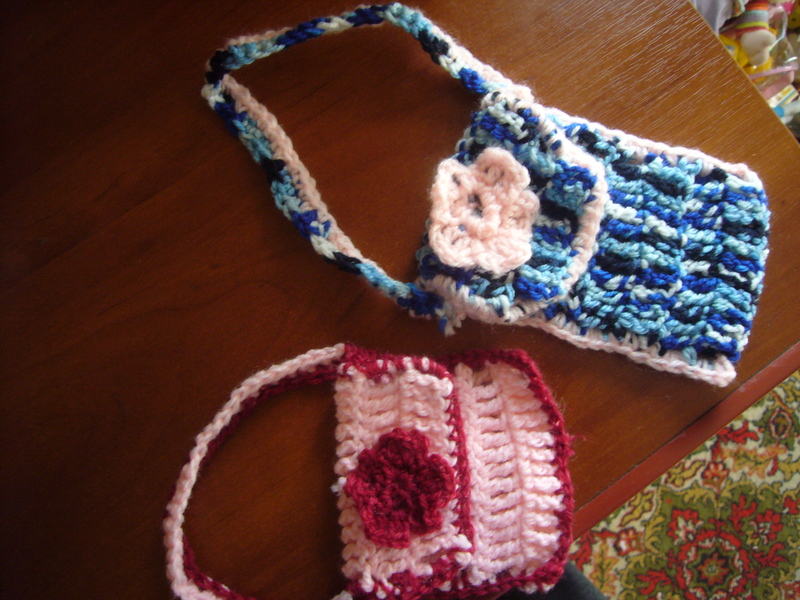 These crochet baby bags take only about half an hour each to crochet. 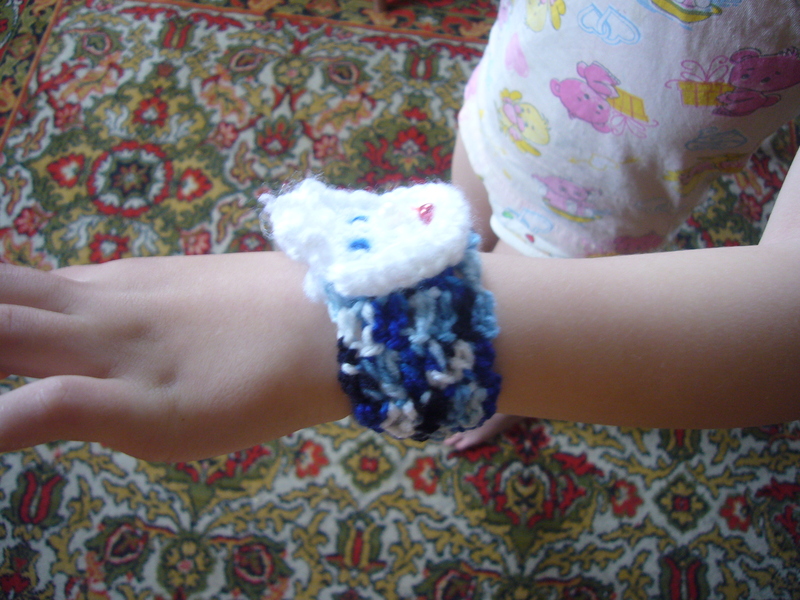 Finally, I’ve crocheted a small cat bracelet for my older girl. These crocheted baby things took only about an hour to crochet. They are easy, but sweet and kids really liked them. 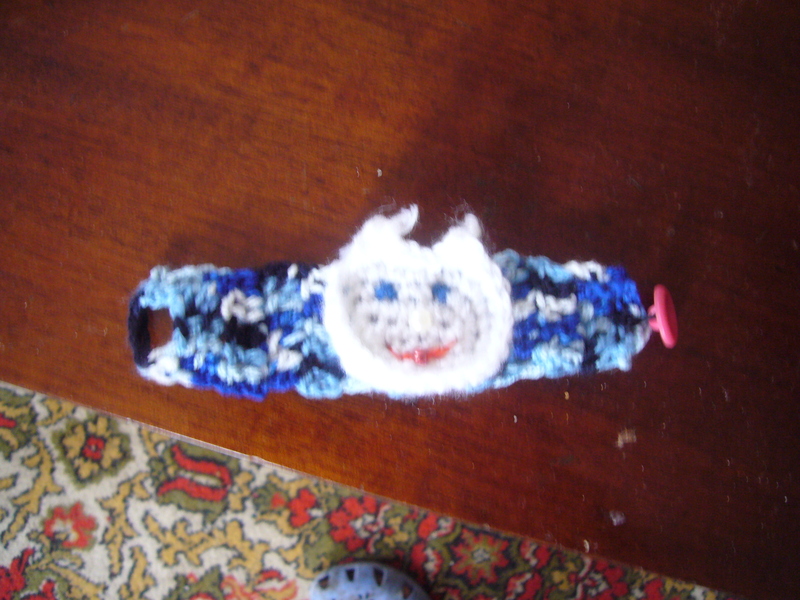 This entry was posted in Crocheting and tagged baby bag crocheting, crafts, crochet, crocheting, crocheting baby bag, crocheting bracelets, crocheting flowers, crocheting for kids. Bookmark the permalink.